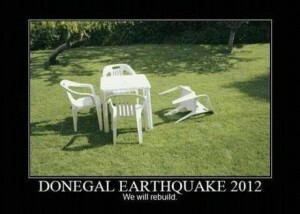 Could not pass this up… Within 1 hour of the earthquake in Donegal, this was being posted online. Great sense of humour. 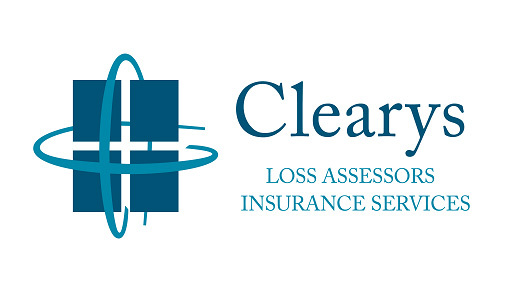 As a firm of Loss Assessors based in Galway, Dublin, Limerick and Kilkenny we often deal with situations where people have just suffered a loss and are often distressed and in shock. Its amazing in these situations how well people keep things in perspective, despite the predicament they find themselves in . All of us have some kind of insurance be it for your home, your car, your business or yourself. All insurance contracts, without exception, are governed by a set of fundamental principles otherwise known as the principles of insurance. These include Utmost Good Faith, Insurable Interest, Indemnity, Subjugation, Contribution and Proximate cause. We will get to all of these over the next few months on this blog, but for now let us explore indemnity. All insurance contracts are contracts of indemnity i.e., the amount which is payable to you in the event of you experiencing a loss against which you are covered is limited to the extent of your pecuniary or financial loss or injuries sustained at the time of the loss. When a loss does occur, the amount that you may recover is called the ‘measure of indemnity’. Continue reading Just what is Indemnity?